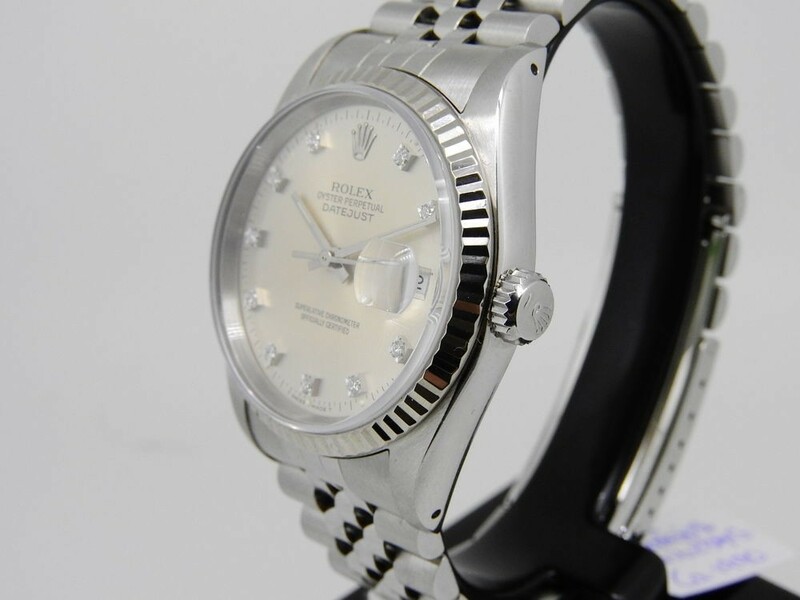 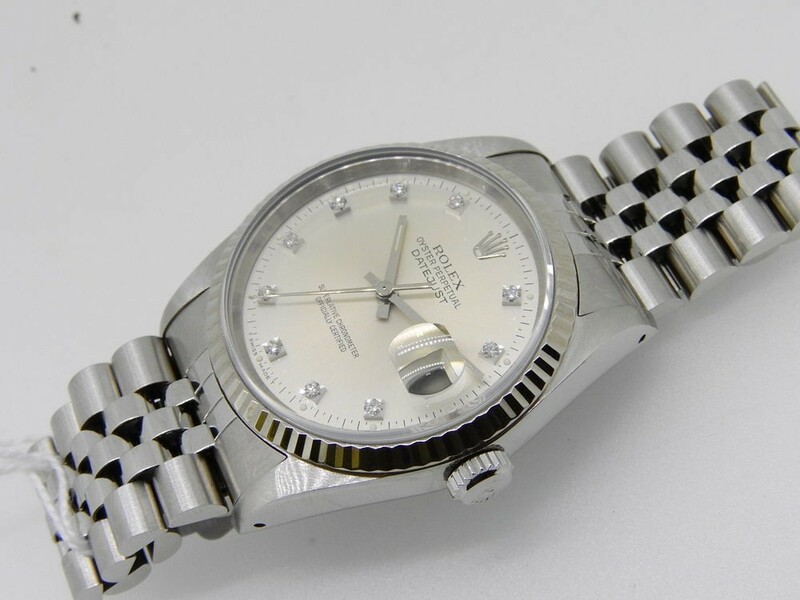 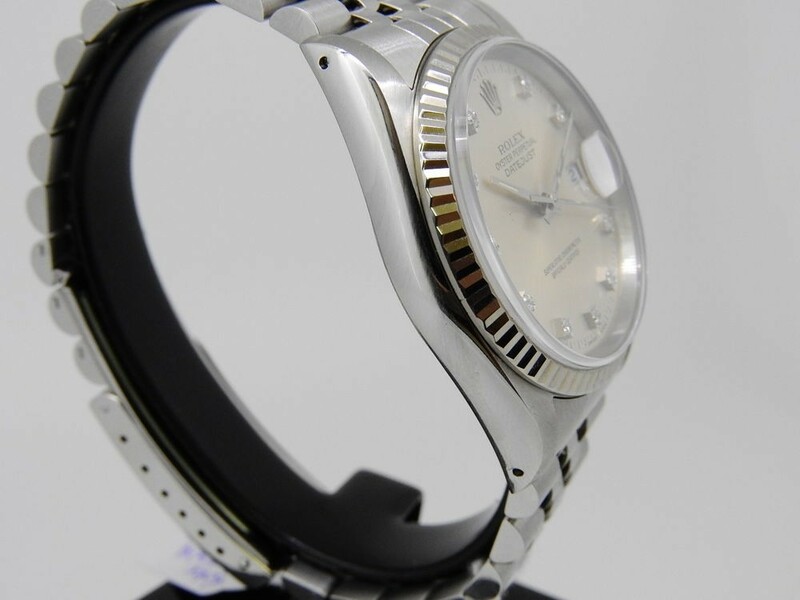 Circa 1990, silver sunburst diamond set dial Rolex Datejust. 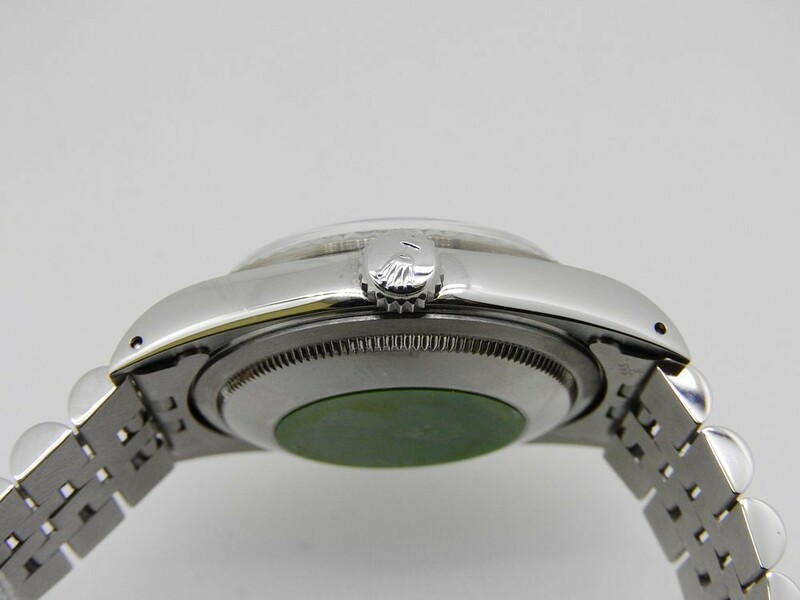 36mm case, 18ct white gold fluted bezel. 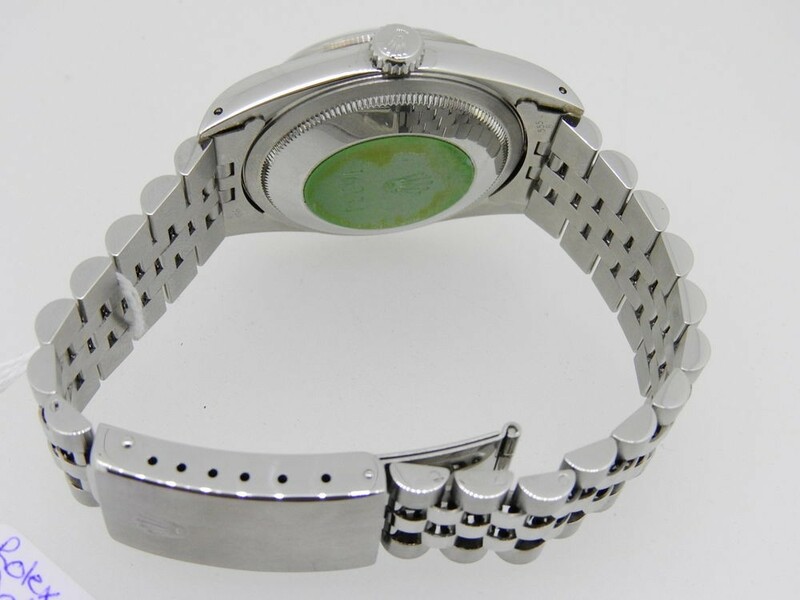 Set on a stylish jubilee bracelet with steel folding clasp. 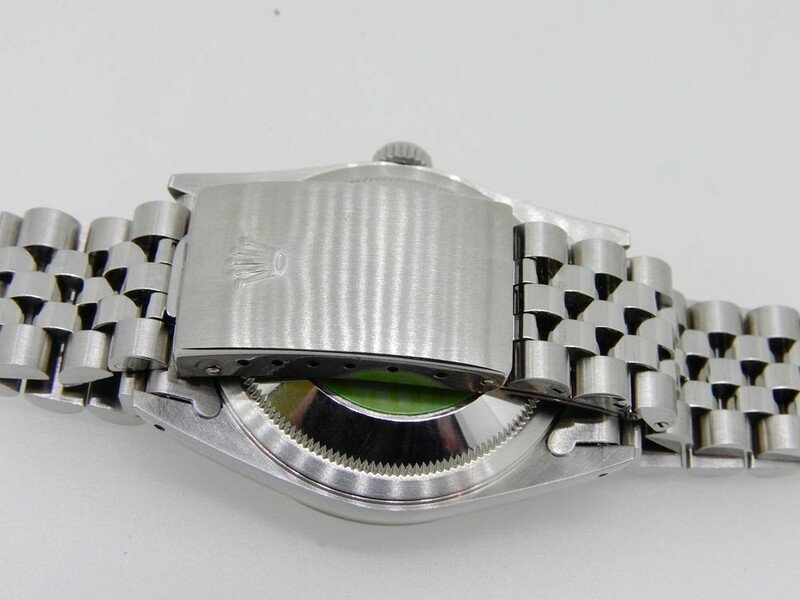 Just returned from our workshop from a full service. 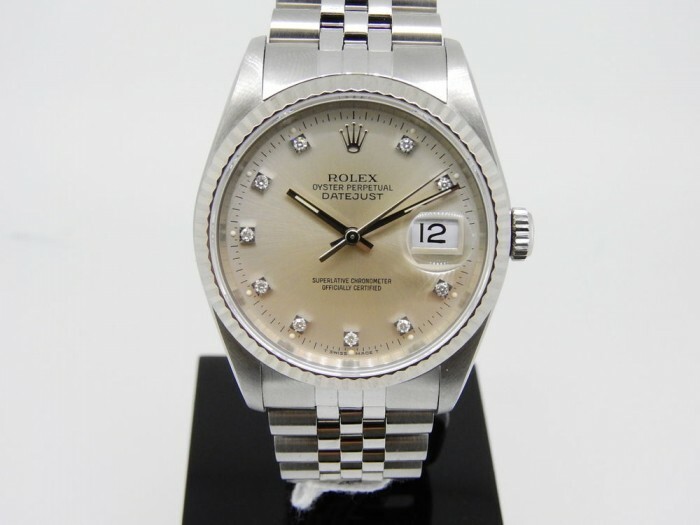 12months guarantee.